Miss Jin Loh is an experienced music performer, a free lance music arranger and an experienced music educator in Malaysia. She is now devoting most of her time in teaching students how to play flute and sharing her music knowledge with her students. Miss. Jin Loh enjoys teaching and has been teaching music for more than 12 years. She is a Classical, Jazz and Contemporary flute instructor/teacher in Malaysia. Miss Jin Loh conducts flute lessons in Bangsar, Damansara Height, Taman Tun Dr. Ismail (TTDI), Bandar Utama Damansara, Sri Hartamas, Mont Kiara, Petaling Jaya (P.J) and other Kuala Lumpur areas in Malaysia. Miss Jin Loh started teaching while she was still pursuing her music in tertiary level. Professional orchestral players, surgeons, doctors, datuks, lawyers, businessman, professional adults, music teachers and young children learn to play the flute from Miss Jin Loh. Miss Jin Loh teaches students of all nationalities. She is the flute teacher/instructor for expatriates from Korea, Japan, France, United Kingdom (U.K), United States (U.S), Australia, Canada, China, Hong Kong, India and other countries. Majority of Miss Jin Loh's students are Japanese and Korean students because Miss Jin Loh speaks Japanese. She is fluent in English, Japanese, Mandarin, Cantonese and Malay. Miss Jin Loh is also the flute teacher/instructor for students from the International Schools for example, The International School of Kuala Lumpur (ISKL), Gaden International School (GIS), British International School of Kuala Lumpur (BSKL), Mont' Kiara International School (M'KIS) and Alice Smith International School (KLASS). Most of her students were from International schools and private schools in Kuala Lumpur. Music is Miss. Jin Loh's passion. She tried to learn and play as many musical instruments to continue to expand her music horizon. Miss Jin Loh plays and teaches 6 musical instruments. She plays the Piano, Flute, Electone (Electric Organ), Cello, Vocal (singing) and Guzheng 古箏 (Chinese instrument). Miss Jin Loh's music lessons are one to one basis. Her students therefore, get full concentration in class from her. Apart from listening whether the music sounds good, especially young students, Miss Jin Loh always pay extra attention on students' hand shape or techniques in class. Right/correct hand shape is very important because young children hands or fingers are still growing and fragile. Therefore if a child always plays the music instrument using the wrong techniques or hand shape, it might cause their fingers to grow slightly abnormal, slightly apart or side ways. Miss Jin Loh's relationships with her students are like friends. Her students age ranged from 4 1/2 years old - 68 years old. To the younger students, Ms. Jin Loh is like their sister and friend. Sometimes, they would tell their problems to Miss Jin Loh and seek her advice. Miss Jin Loh does not only teach her students to play a musical instrument, Miss Jin Loh is more concerned on her students' personal development and attitude. Miss Jin Loh believes that learning music is to learn to become a better human being. Students learn about 'responsibility' and 'punctuality' by remembering their class time, to complete their home works on time and to practice their instrument after each lesson. Besides, students also learn about 'patience' and 'discipline' in their music classes because repetition is an important factor in mastering an instrument. Students would realize that to be successful in anything they do whether in music or in their life, they need to be discipline and patience. Most importantly, never give up on anything easily. Of course, it will be great that along the way, one also master the musical instrument. - A music educator and a free-lance music arranger. An experienced piano, flute, cello and vocal instructor/teacher in Malaysia. - Bachelor (Hons) degree in Professional Music (UK). Major in Arranging. - Play 6 musical instruments: Piano (Jazz/Classical), Flute, Electone (Electric Organ), Cello, Vocal (Voice/Singing) and Guzheng 古箏 (Chinese instrument). - Arranged music albums like ‘The Journey to the Temple’, ‘Love, Kindness & Forgiveness’ and the 2008 album-‘Journey’ (Buddhist music album). - One of Ms. Jin Loh's music compositions and music arrangements 是与非-True & False won the top 10 finalists and represented Malaysia to compete in the 2005 Shanghai Asia Music Composition Award held in Shanghai, China. - Worked with recording companies like EMI recording company and compiled a series of 4 Volumes of classical music - “Classical Music for Babies”. - Played in music studios as piano and flute session player. 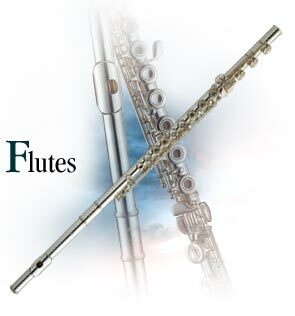 - For few years, Ms. Jin Loh was invited to give Flute seminar in a few International Schools in Malaysia, e.g. during the International School Band Festival in Malaysia. - Performed in the MPO (Malaysian Philharmonic Orchestra) under the City Life project. - Performed as soloist at Kuala Lumpur Performing Art Centre (KLPac) under special event. Experienced flute instructor/teacher in Bangsar, Bandar Utama Damansara, Damansara Height, Taman Tun Dr. Ismail (TTDI), Sri Hartamas, Mont Kiara, Petaling Jaya (p.j) and other Kuala Lumpur (K.L.) areas in Malaysia. 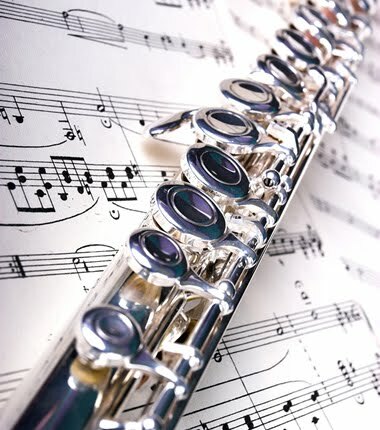 - Ms. Jin Loh prepares flute students for the ABRSM (The Associated Board of The Royal School of Music), Trinity GuildHall and Australian Guild Exams. - Ms. Jin Loh is one of the few music instructors in Malaysia that teaches, prepares and trains her international school students for GCSE music exams. - Being also a professional pianist, Ms. Jin Loh plays the piano to accompany her students during their flute music exams. -100% pass. 50% pass with high merits. - 100% pass. 100% pass with Distinction. One of Ms. Jin Loh's flute students - Dima, is now playing as a flute orchestra member in the National Symphony Orchestra and also active in performing flute in other orchestras and music events. -100% pass. 100% pass with high merits. # - Dima, One of Ms. Jin Loh's Grade 8 Flute Students scored 29/30 (almost full mark!) for one of her Grade 8 Flute exam pieces. Moreover, this student skipped grade 7. She only took grade 6 in 2010 year and in 2011 Ms. Jin Loh prepared and trained her to sit for grade 8 ABRSM flute and she scored high marks especially in her exam pieces. - 100% pass. 100 pass with Distinction.